This book develops the thesis that classical Christian theology seeks to help believers flourish by knowing and loving God. 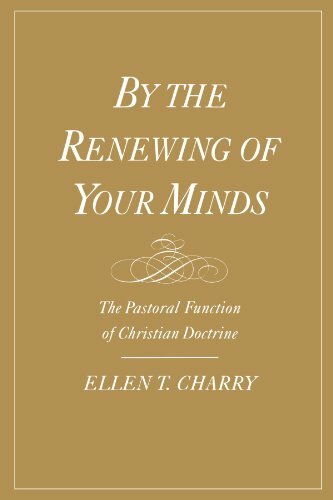 Ellen Charry argues this premise by example, offering a close reading of a number of classical texts, from the New Testament era to the Reformation, including works of Paul, Augustine, Athanasius, Basil of Caesarea, Anselm, and Calvin. She points out the pastoral and moral aims that shape the teachings of these theologians on a wide range of topics, including the Trinity; human beings as created in the image of God; the incorporation of Jews and Gentiles into the body of Christ in baptism; the incarnation, death, and resurrection of Christ; and the divinity of the Holy Spirit. Charry explains that the very logic of their arguments is shaped by the author's concern for the goodness and happiness that should result from living into the doctrines. She further shows that although the spiritual and pastoral purposes of these writings are many and complex, they are invariably concerned to foster what modern people can, without difficulty, recognize as human dignity--what she calls "excellence"--in action, affection, and self-appraisal.